Wooden Spoon Is Now Open at Power Plant Mall! Good news for all the foodies out there! 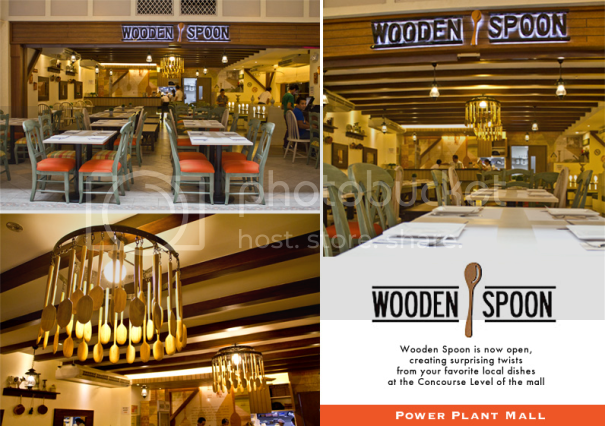 Sandy Daza’s Wooden Spoon restaurant opened a new branch at Power Plant Mall recently. Wooden Spoon serves Filipino dishes with a twist and is located right beside Ganso Shabuway. This entry was posted in Power Plant Mall, Press Release, Sandy Daza, Wooden Spoon. Bookmark the permalink.